As we exited our hotel and started safety checks of our motorcycles, a gentlemen walked up to us and said that last night he went to our website (our side cases have a map of what we are doing with the link). His name was Ted and he asked us if it were really the two of us who are doing this trip. We responded that we are the ones. We gave him the card about our trip and he asked us if we can give him an autograph. Both Gintaras and I signed the card. Ted recently completed a motorcycle tour across the US from the West to the East coast. It took him 35 days. As we got on our motorcycles, Ted took a few more pictures of us with his nice SLR camera. It took us about 2.5 hours to get to Austin. Easy ride! We took the cab to downtown where we enjoyed the city as we wanted to take a break from motorcycles. 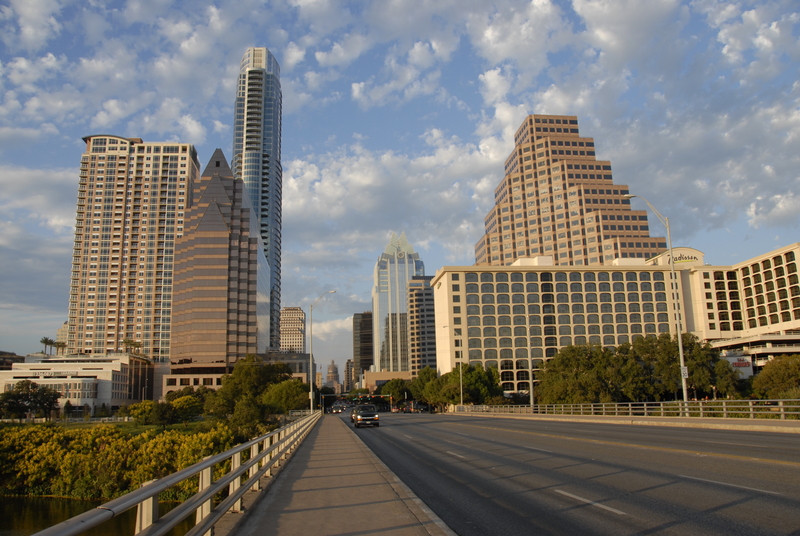 Austin is a beautiful town and is home to Texas University in Austin – the largest university in the United States with a student body of over 50,000.